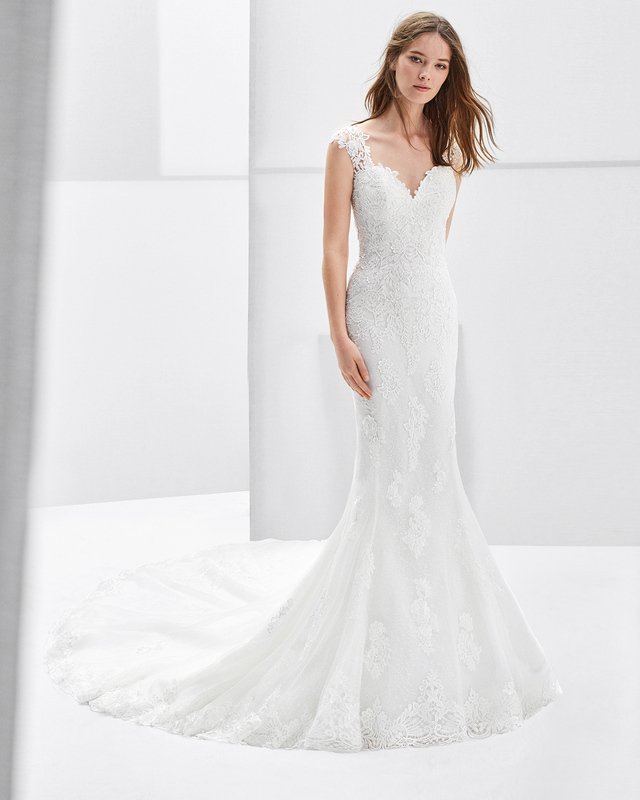 Mermaid-style crepe wedding dress with short sleeves and beaded lace back. 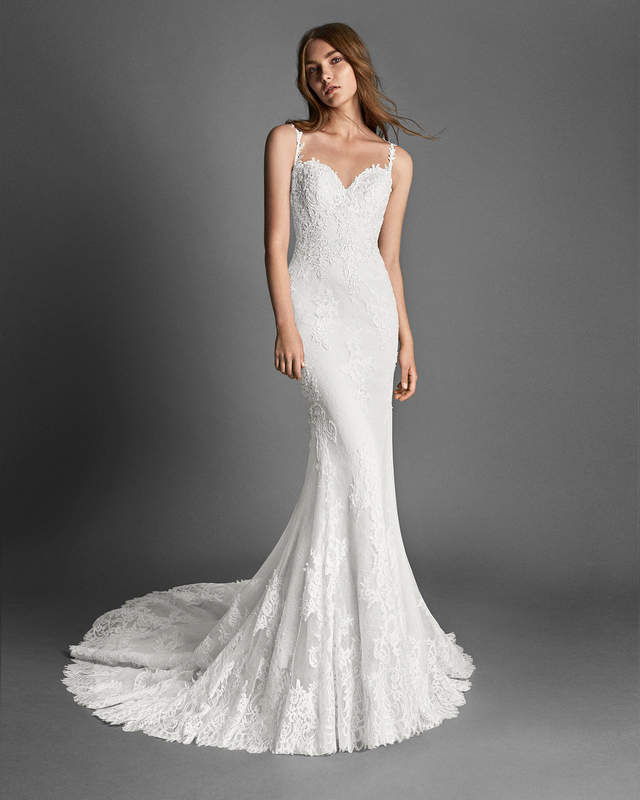 Mermaid-style beaded lace and guipure lace wedding dress with sweetheart neckline, low back and lace appliqués. 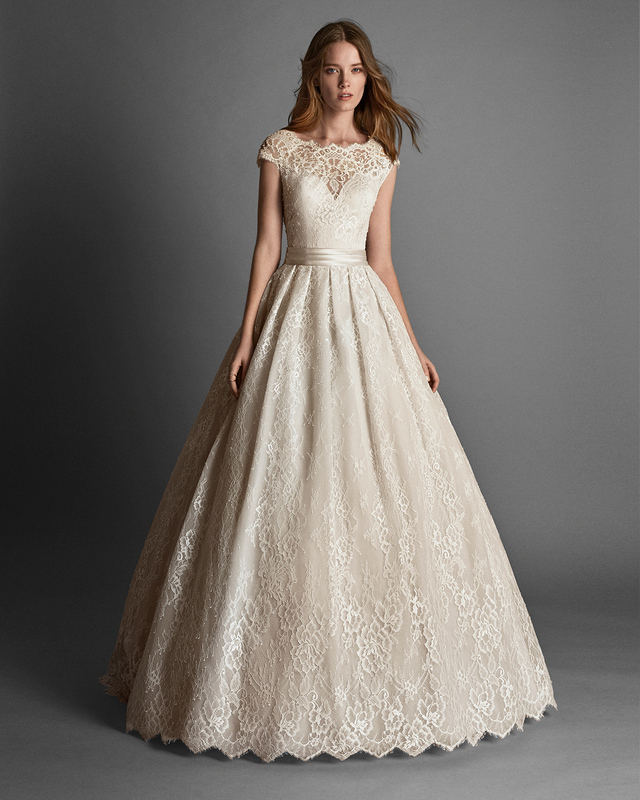 Classic-style beaded Ottoman wedding dress with bateau neckline and low back with beadwork detail, in natural. 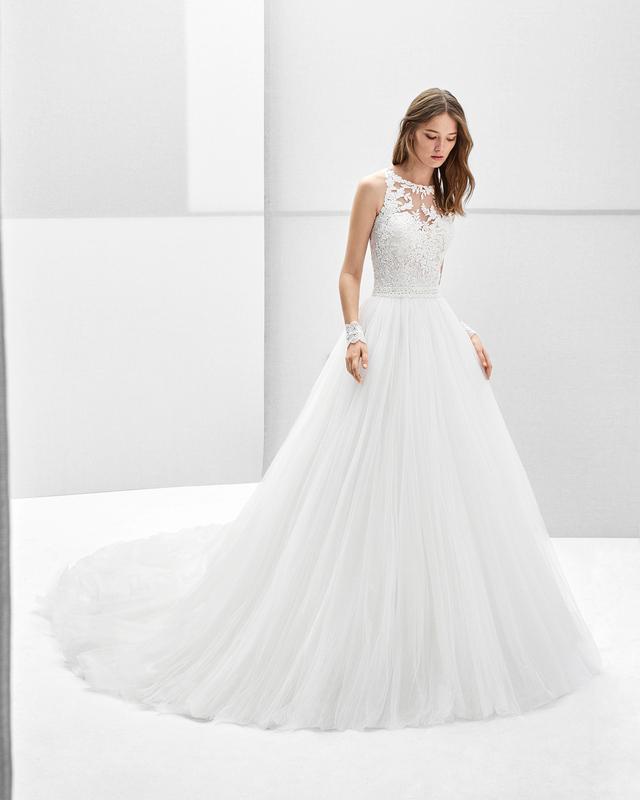 Mermaid-style crepe wedding dress with jewelled back with beadwork detail. 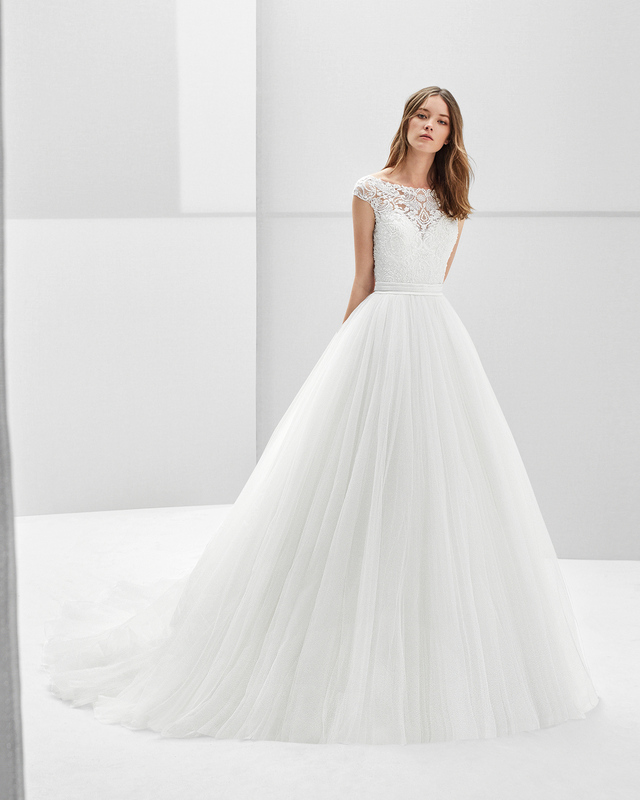 Princess-style beaded lace and tulle wedding dress. 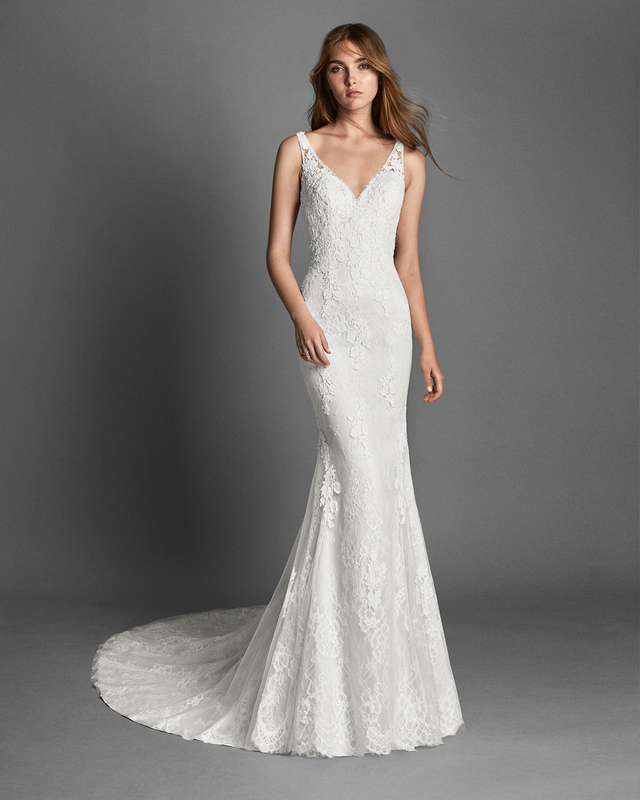 Mermaid-style crepe and lace wedding dress with long sleeves, bateau neckline, low back and beadwork detail, in natural. 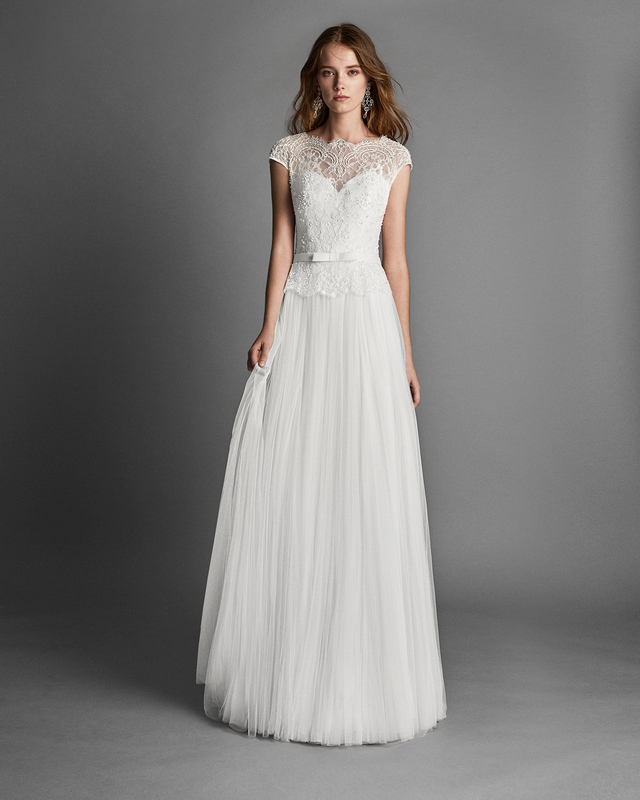 Boho-style three-piece crepe Georgette and guipure lace wedding dress with short sleeves. 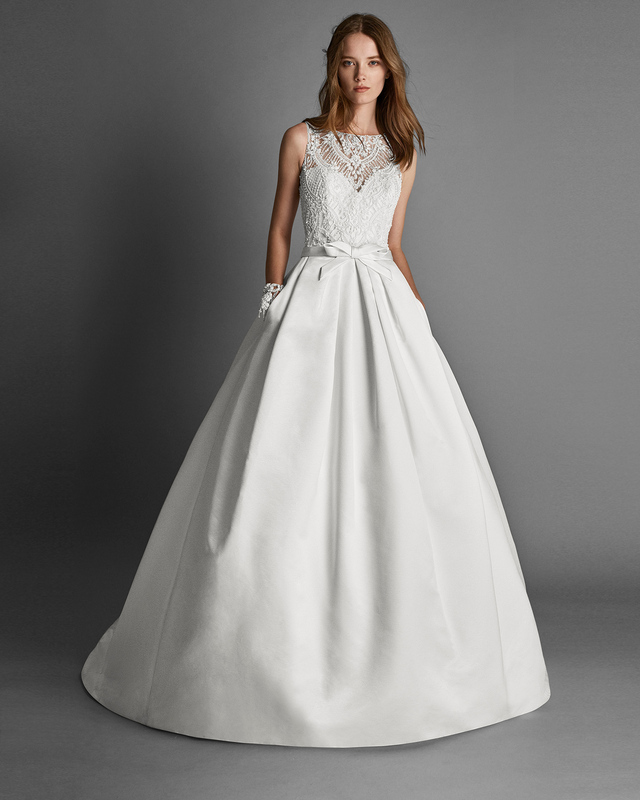 Classic-style beaded lace and duchess satin wedding dress with halter neckline, beaded embroidery back and pockets, in ivory. 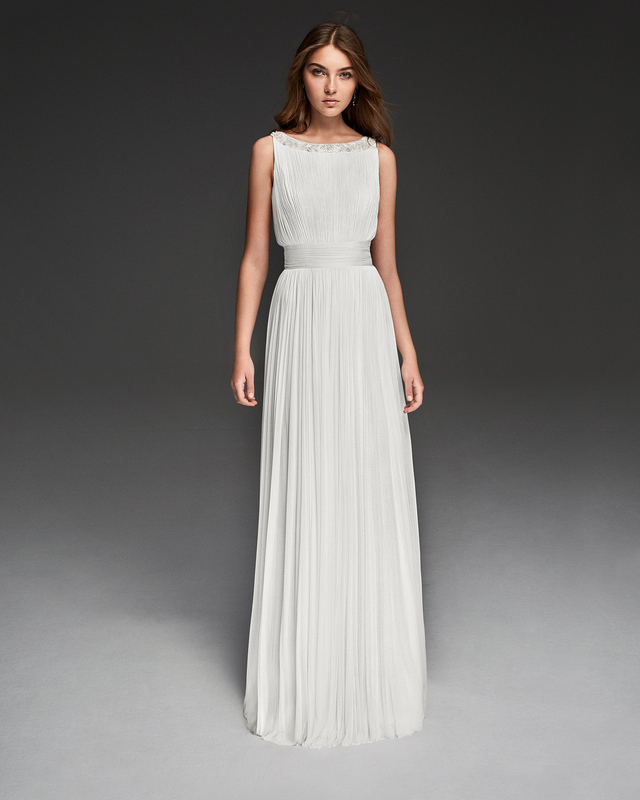 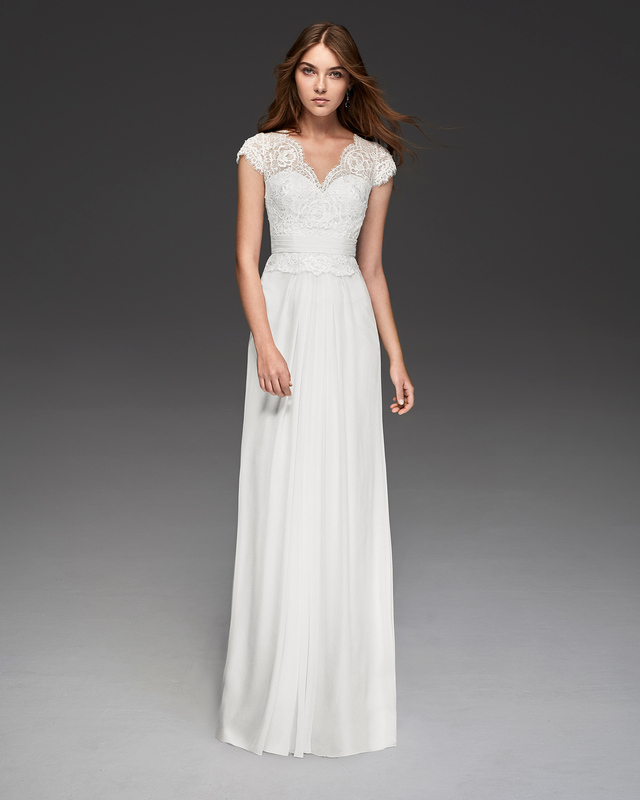 Crepe sheath wedding dress with short sleeves and jewelled back. 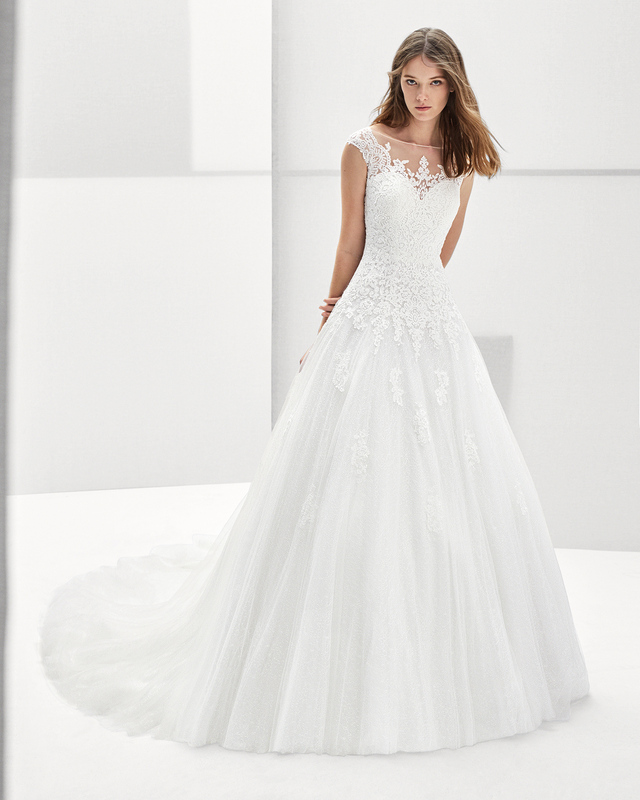 Classic-style beaded lace and duchess satin wedding dress with pockets and jewelled back, in ivory. 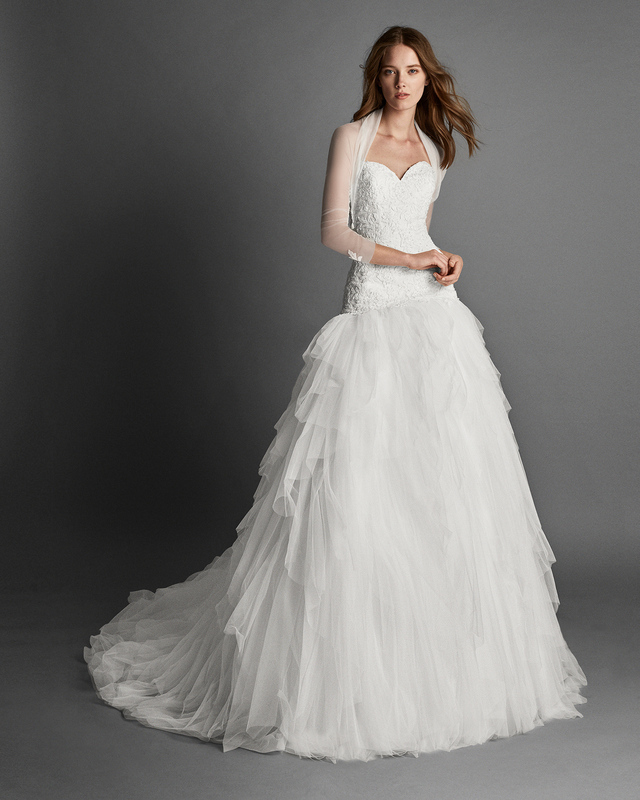 Classic-style beaded Ottoman wedding dress with low back, in natural. 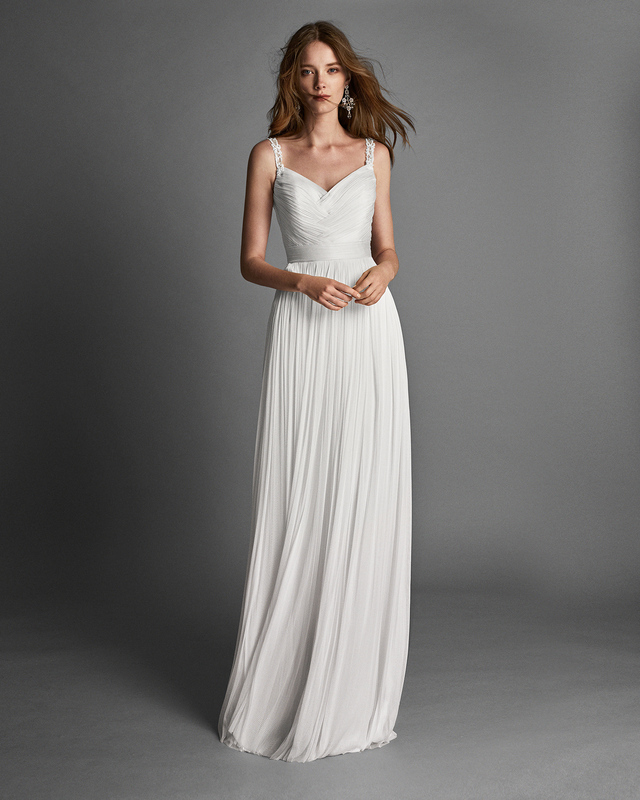 Muslin sheath wedding dress with low back and beadwork detail.